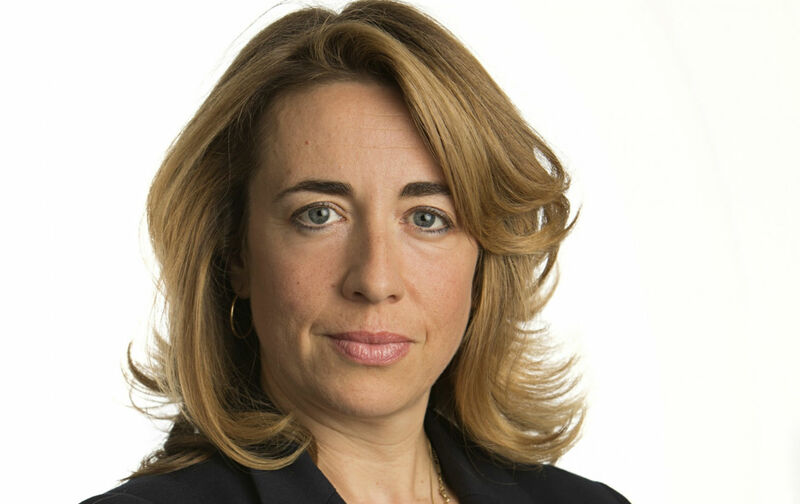 Katharine Viner, the new editor of The Guardian, has thought deeply about the relationship between readers, technology and the future of journalism. London—Despite the headlines, the most interesting thing about the news that Katharine Viner will take over from Alan Rusbridger this summer as editor in chief of The Guardian is not that she will be the first woman to run a newspaper which, at 194 years old, is even more venerable than The Nation. Women currently run two British Sunday papers, one very downmarket tabloid, and the London Evening Standard. Rebecca Brooks famously—or infamously—was the youngest-ever editor of The News of the World before becoming editor of The Sun—a paper that still sells about ten times as many copies as The Guardian every day. The Observer, The Guardian’s Sunday stablemate, had a female editor in 1891!—though Rachel Sassoon Beer’s husband did own the paper at the time. Viner does stand out from the London media crowd in being from Yorkshire, in the north of England, and for being a playwright and activist as well as a journalist. My Name Is Rachel Corrie, the play she and actor Alan Rickman wrote based the diaries of the 23-year-old American killed by an Israeli army bulldozer as she tried to prevent the demolition of Palestinian houses in the Gaza Strip, has been produced in London and in US cities from Seattle to New York. But of the four internal candidates for the job who entered a staff ballot, three were women: Viner, Emily Bell, who helped set up The Guardian’s website and now directs the Tow Center for Digital Journalism at Columbia, and Janine Gibson, Viner’s predecessor as editor-in-chief of Guardian US who is now editor-in-chief of theguardian.com. Viner’s overwhelming victory in the staff ballot—she got 53 percent of the vote—made her the favorite, and also spoke volumes about her ability to retain the loyalty of colleagues and contributors, despite having spent several years thousands of miles away setting up The Guardian’s Australian website. In terms of print sales, The Guardian’s past five years have been a story of continuing—and relentless—decline, from just over 300,000 in 2010 to under 200,000. Yet in that same period the paper, and its website, has consistently set the agenda for British journalism, from the Assange and Snowden revelations to its lonely, persistent reporting on phone hacking. With the exception of the Parliamentary expenses scandal (broken by The Daily Telegraph) it is hard to think of a major British story that didn’t originate on its pages or its website, which is now the second-most-popular English-language newspaper site in the world. Why should Americans care about any of this? Partly because, confronted by a shrinking market in Britain and the borderless fluidity of the web, The Guardian has become a significant enough presence in the United States to have won a Pulitzer Prize for public-service journalism last year for its role in reporting on the National Security Agency’s surveillance of American citizens. And partly because The Guardian—a frankly left-of-center paper owned by the Scott Trust, a nonprofit obligated to invest all its earnings back into journalism—represents a very different model of how to run a news organization than anything of similar ambition in the United States. (When Rusbridger hands over to Viner this summer, he’ll become chairman of the Scott Trust.) Try to imagine The New York Times or CNN holding a staff ballot for the top editor’s job, and you’ll begin to realize just how different. But mainly because there is no one on either side of the ocean who has thought as deeply as Viner about the relationship between readers, technology and the future of journalism. Even if you don’t share her messianic optimism about the brave new world opened up by the rise of the web and the disruption of traditional hierarchies of authority and expertise, Viner’s 2013 A N Smith Lecture still rewards careful reading. Her dismissal of paywalls as “utterly antithetical to the open web” might have been special pleading—as Viner admitted, “Journalism, particularly the serious and painstaking kind, is expensive,” and most papers don’t have the luxury of a trust fund—but her arguments for the importance of reader engagement, and for sustained, original reporting of information that someone, somewhere, wants to keep secret are compelling and convincing. What does that mean in practice? We are about to find out.